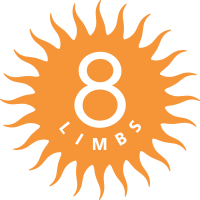 At 8 Limbs Capitol Hill you will find a dedicated community of students and our main office & Boutique. Capitol Hill was our first location, founded in 1996. Our Surya (Sun) Studio has large South facing windows. The more intimate Chandra (Moon) Studio is located behind our front desk and Boutique. We use it for smaller classes, yoga privates, and Teacher Training. 8 Limbs Phinney Ridge is the newest member of our family, with two modern practice rooms to serve NW Seattle. The Phinney teachers are a joyful and experienced group, offering strong and intelligent yoga for the vibrant Phinney community. The studio names are Maha (Great) and Satya (Truth). 8 Limbs Wedgwood is a peaceful neighborhood hub just north of the University of Washington. Opened in 1999, it has seen a decade of loyal Wedgwood neighbors, UW students, and other NE Seattle yoga practitioners who enjoy the grounded wisdom of our longtime teachers.